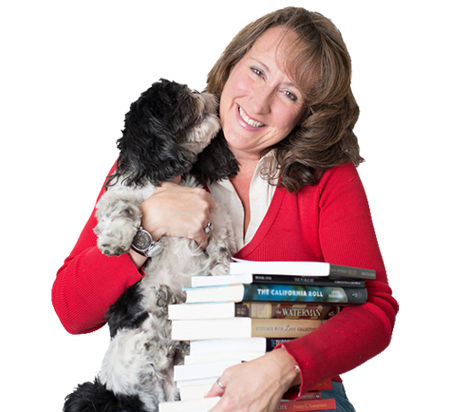 Does your website work as a book marketing tool? I pose this question at writer’s conferences quite often, and you’d be surprised how few people answer yes. The truth is, a lot of authors just don’t know if their website actually moves the sales needle. There are currently a lot of resources out there to build a website, but most authors don’t know what a site should have to benefit them most. For most authors, the aim is selling books. If it’s a service you’re trying to push, and your book is your business card, then your website goals will be different. It really doesn’t matter if you’re trying to sell a book, promote your services, or get more speaking gigs. The key factors in having a successful site never change. Proofread your copy: Every single page must be perfectly edited. That book sale will fly out the window if a reader sees a bunch of errors. Your website is your 24/7 book-sales and book-marketing tool, so be sure to hook them right off the bat if you want to sell more books. Check your traffic: It’s easy to keep track of who is coming to your website and from where with Google Analytics. It’s free and easy to use. You want to review the reports regularly so you understand who visits your site, how they find you, and what they do once they’re on your site. Then you’ll learn what works (and what doesn’t), which is particularly true if you’re trying to figure out where the lion’s share of your traffic comes from, as it relates to social media. If you have a good idea where your traffic comes from, it’s easier to plan how to target those readers better. Be media ready: Websites should always have a media room with downloadable materials readily available. Include a photo, bio, book synopsis, and book cover. It’s also helpful to provide these in smaller files. After all, would you want to sit around waiting for a lot of files that take too long to download? There’s plenty of other things you can have on your media room, like a Q&A, book reviews, book-group questions, events calendar, and more. It should be effortless for readers to get the information they want. The media will appreciate it also, since they can quickly get what they need in a hurry, like a book cover, current picture, or excerpt from your book. Keep the website copy simple: People don’t sit down to read web pages—they scan. A homepage of 200 to 250 easily readable words works out fine. I mention this because sometimes folks want to offer complex descriptions of your book. Don’t risk turning people off—keep the language simple. Also, your site needs to be easy to scan, and it has to have a call to action: what is it you want readers to do? Buy your book? Sign up for your newsletter? No matter what you’re looking for, your website should direct visitors to a specific action. Even if your site doesn’t include a store, a successful site will still have ways to earn you sales. Good exposure and an easy-to-navigate site is one sure way to gain more readers, as is a singular website goal. You’ll see our site is a funnel. It’s not obvious (and it shouldn’t be), but it’s definitely there. It directs people to just a few options. Remember, if a visitor gets inpatient or can’t find what they want quickly, they’ll just leave the site. Your website bookstore: While it’s a good idea to have your products available at many online stores, you should have a specific area on your site dedicated to sales—even if you direct people to Amazon or another site for the actual purchase. Once again, simplicity is key, and it should be simple for a visitor to buy your book. If not, that sale is gone. A great way to do this is by linking your store to Paypal, or Amazon Pay, which makes the process for the buyer much smoother. Design: I have two major rules in life: you should never cut your own hair or design your own website. Period. End of story. Why? Much like editing our own books, we’re just too darned close to our message to be able to do it justice. Also, most of us are writers, not designers. We need a fresh pair of eyes from skilled design professionals who know just what to do. They will likely give you some ideas you haven’t considered. So trust me, it’s worth it. And though I’ve mentioned this previously, it’s worth repeating that when putting together your site, the homepage should serve one purpose. Although you can use your website to advertize your speaking services, get more speaking gigs, or provide consulting services, the homepage should be dedicated only on selling your book. Website visitors spend on average of 1/50th of a second on a website, and if it’s not clear what you’re trying to do with it, you’ll lose them. I call it surf shock or analysis paralysis. Don’t make them guess what your site is about, because they’ll leave and won’t come back. Blog and other contact points: Having a blog ensures you have regularly updated content on your site as well as a page on your blog where visitors can participate. Always remember to include a way to contact you on your site, as it’s the first thing most authors forget about. Your contact page should definitely include any social media accounts you have as well. Freshen up your content: Some authors love writing blogs and others don’t particularly care for them, but they can be as short or long as you’d like. Just be sure to update them once or twice a week. The updates are a big plus for Google, which will reward your site with a higher search ranking if it has fresh content. What’s the big deal about a high search ranking? It gets you listed ahead of your competition, which is a huge benefit because when readers look for a specific genre or expert in a particular subject, you want them clicking on your site before anyone else’s. This is another great way to get more sales. If you could use some help here, I recently shared these ideas for blogging. And you can also download my free monthly marketing planner to help you plan and schedule your posts. Build a mailing list: A great book-sales tool is an email list, and besides being a valuable tool, it’s a great way to build your super fans. Making a mailing list for your website is simple and really pays off. 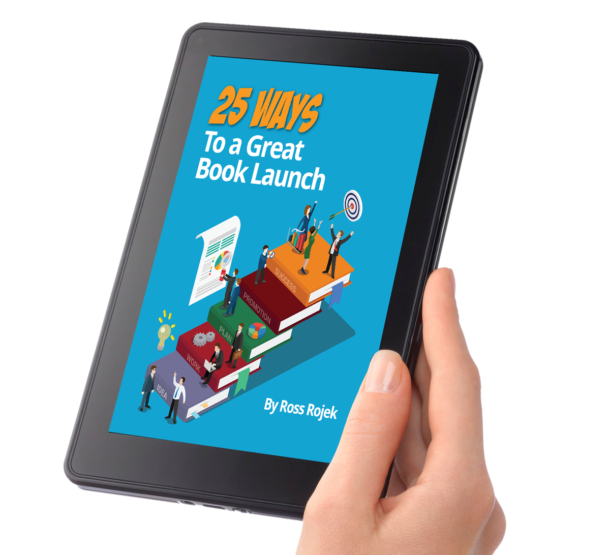 To get readers to sign up, provide some content that’ll interest them, like a sample chapter, a free report or checklist, or even enter them into a monthly drawing. These are excellent ways to build a loyal fan base, and you should reach out to them when your next book comes out. Contact information: Remember, your website should have a simple way for visitors to contact you. Don’t make them hunt for that phone number, email, or contact form—they won’t. They’ll just leave your site and won’t return. Placement and remarketing: You need to familiarize yourself with how people browse websites. Where on your site will they first be looking? The upper left-hand quadrant of a site, and that’s where your primary message should be positioned. Next, they’ll turn their attention to the center. These two main areas are the most relevant in conversion. Your message should be clear, with a call to action. Remember, don’t confuse visitors or make things difficult for them to figure out. I also recommend funneling your visitors into a mailing list. You can do this via a sign-up on your homepage and then an ethical bribe to encourage them to sign up. What’s an ethical bribe? You provide the reader with something they’ll want in exchange for them giving you something (their email). Some suggestions are an eBook, a checklist, or a special report. What do you think readers would most want from you? Be mobile ready: A lot of people are surfing the net on smart phones, so it’s important that your site is mobile ready. Google will actually ding you if it’s not. Most WordPress sites have a very simple plugin you can use to turn your website from desktop to mobile-ready. Don’t worry if you don’t know how because your web designer will. A vital factor for your book’s success is your website, so make sure it’s the best you can make. Although it takes hard work and time to create a professional looking site that fits you and your book, it will pay off in the long run with sales, a devoted fan base, and plenty of marketing opportunities.